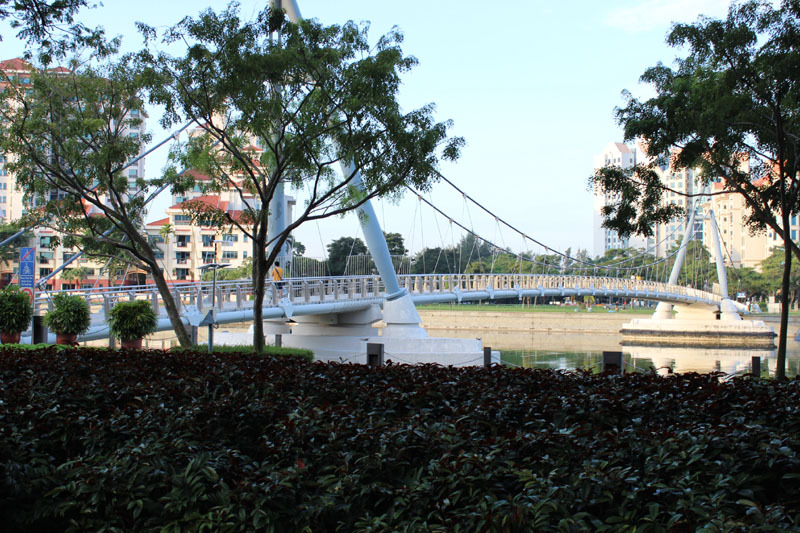 Tanjong Rhu Bridge is the first suspension footbridge in Singapore. 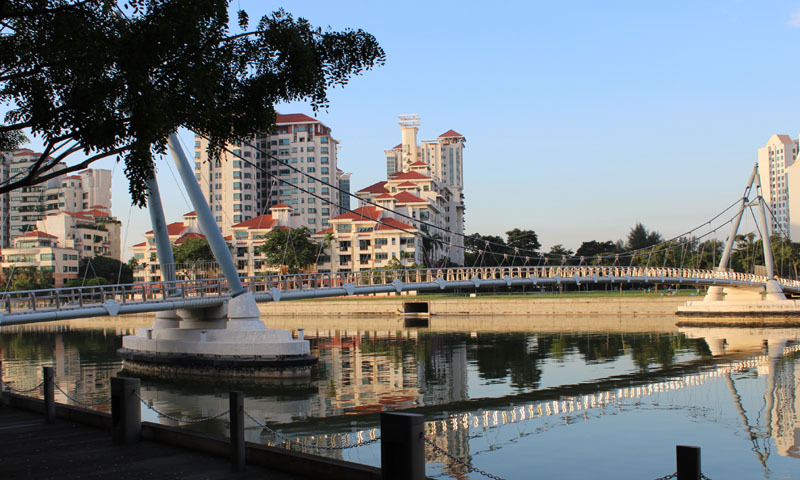 It was built in 1998, spanning across the Geylang River to ease the residents and footers for traveling between National Stadium and Tanjong Rhu estate. It was built at the construction cost of S$5.1 million, its span 130m long and 4 m wide. The bridge is suspended by 100 number of hangar cables that are 1 inch thick and attached to two main cables that are 4.5 inches thick. 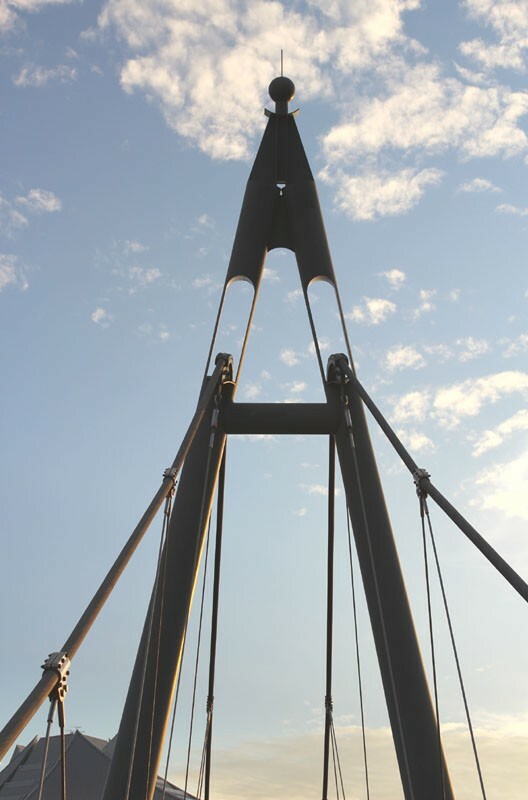 The main cables are anchored to a huge 19m high “A” like frame that located at both ends of the footbridge. 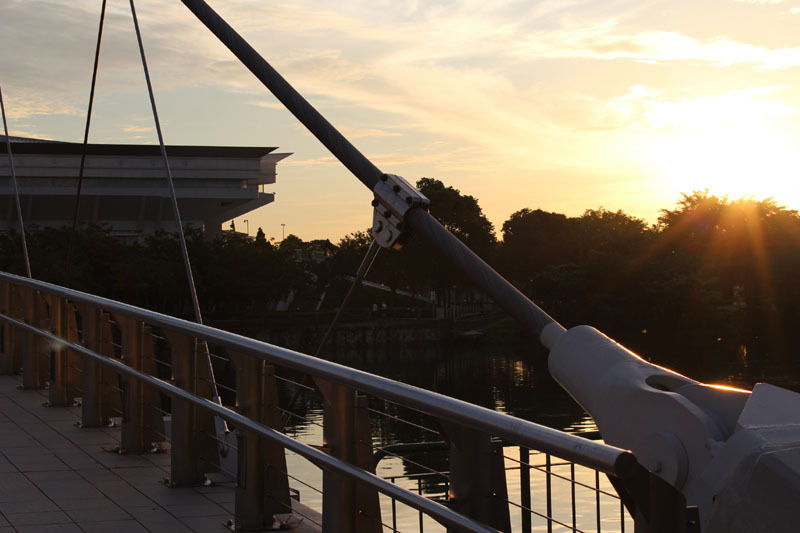 If you travel along the Geylang River side, don’t forget to spend a visit to the iconic metal footbridge. You’ll never regret your riverside walk. This entry was posted in Singapore Spot a Spot / 点出景点 and tagged Earth, Geylang River, human-rights, literature, nature, photography, postaday, Religion and Spirituality, Tanjong Rhu, tourist spot in singapore. 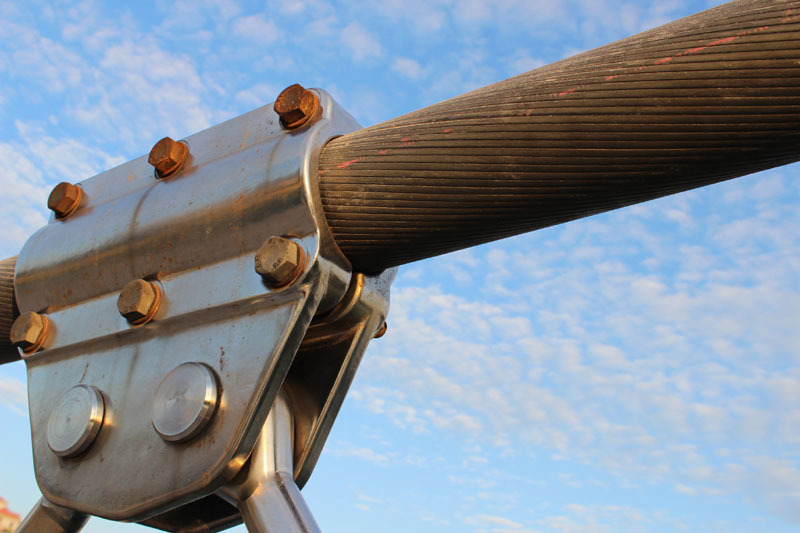 What meal Watermeal should deserve? What kind of tree is not important anymore! That is a beautiful bridge. Thanks for the lovely post. Beautiful! I love a good bridge and the construction details are fascinating. Sure,, may i know your contact?